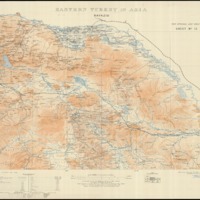 The W. F. Albright Institute of Archaeological Research (AIAR) in Jerusalem in cooperation with the Center for Ancient Middle Eastern Landscapes (CAMEL) at the University of Chicago scanned and geo-referenced a series of topographical maps of Eastern Turkey and the lands of the broader Ottoman Empire with a grant from the US Department of Education TICFIA program. 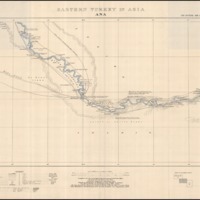 The bulk of the collection contains topographical maps compiled at the British Intelligence Division War Office in 1915 derived from map and survey data collected during multiple expeditions 1839-1906. 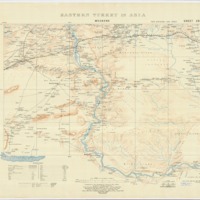 The collection contains high resolution copies of the original maps held by AIAR, and geo-referenced versions can be requested by contacting dlir@caorc.org. 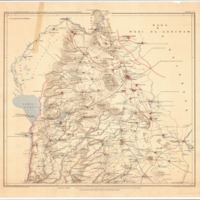 Description: Map of Lebanon from an expedition of Syria 1860-1861. Description: Map of the lands of Jordan (centered on modern day northern Israel). Compiled at the Intelligence Division War Office by Major F.R. Maunsell, R.A. derived from multiple expeditions 1839-1906. 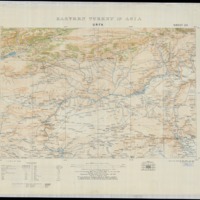 Description: Map of Eastern Turkey (centered on modern day northern Syria showing the Euprates River). 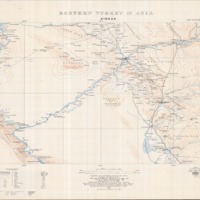 Compiled at the Intelligence Division War Office by Major F.R. Maunsell, R.A. derived from multiple expeditions 1839-1906. [Incomplete map with cut section]. 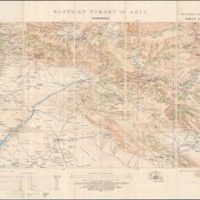 Description: Map of Eastern Turkey. Compiled at the Intelligence Division War Office by Major F.R. Maunsell, R.A. derived from multiple expeditions 1839-1906. 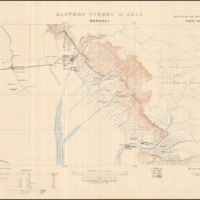 Description: Map of Eastern Turkey (centered on modern day northern Iraq in Mosul area). Compiled at the Intelligence Division War Office by Major F.R. Maunsell, R.A. derived from multiple expeditions 1839-1906. 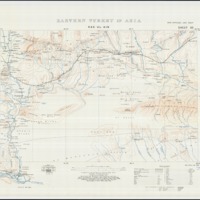 Description: Map of Eastern Turkey (centered on modern day Syria in the Deir ez Zur area). Compiled at the Intelligence Division War Office by Major F.R. Maunsell, R.A. derived from multiple expeditions 1839-1906. 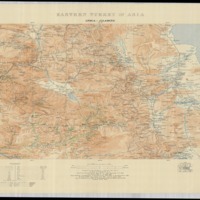 Description: Map of Eastern Turkey (centered on modern day northern Iraq in Rawaduz area). Compiled at the Intelligence Division War Office by Major F.R. Maunsell, R.A. derived from multiple expeditions 1839-1906. 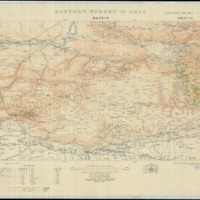 Description: Map of Eastern Turkey (centered on modern day Syria). Compiled at the Intelligence Division War Office by Major F.R. Maunsell, R.A. derived from multiple expeditions 1839-1906. 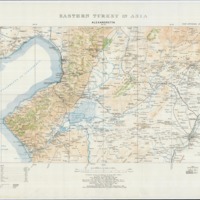 Description: Map of Eastern Turkey (centered on modern day northern Syria in Iskenderun area). Compiled at the Intelligence Division War Office by Major F.R. Maunsell, R.A. derived from multiple expeditions 1839-1906. 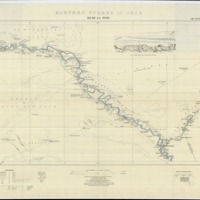 Description: Map of Eastern Turkey (modern day Iraq and Syria along the Euphrates River). Compiled at the Intelligence Division War Office by Major F.R. Maunsell, R.A. derived from multiple expeditions 1839-1906. 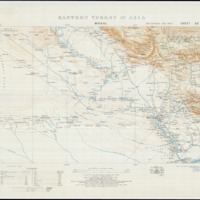 Description: Map of Eastern Turkey (modern day Iraq and Iran). Compiled at the Intelligence Division War Office by Major F.R. Maunsell, R.A. derived from multiple expeditions 1839-1906. 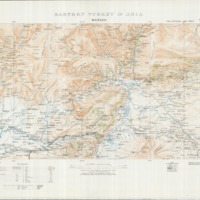 Description: Map of Eastern Turkey (centered on modern day northern Syria showing the Euprates River). Compiled at the Intelligence Division War Office by Major F.R. Maunsell, R.A. derived from multiple expeditions 1839-1906. 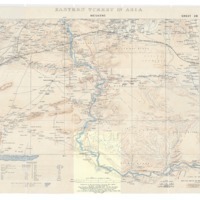 Description: Map of Eastern Turkey (centered on modern day Iraq in Kirkuk area). Compiled at the Intelligence Division War Office by Major F.R. Maunsell, R.A. derived from multiple expeditions 1839-1906. 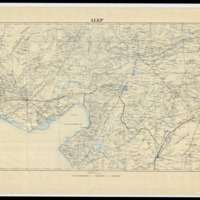 Description: Map of Southern Turkey. Publisher: Bureau Topographique de A.F.L. Published in Tihrān at the Markaz-i Dāʼirat al-Maʻārif-i buzurg-i Islām, this encyclopedia has recently been released electronically. 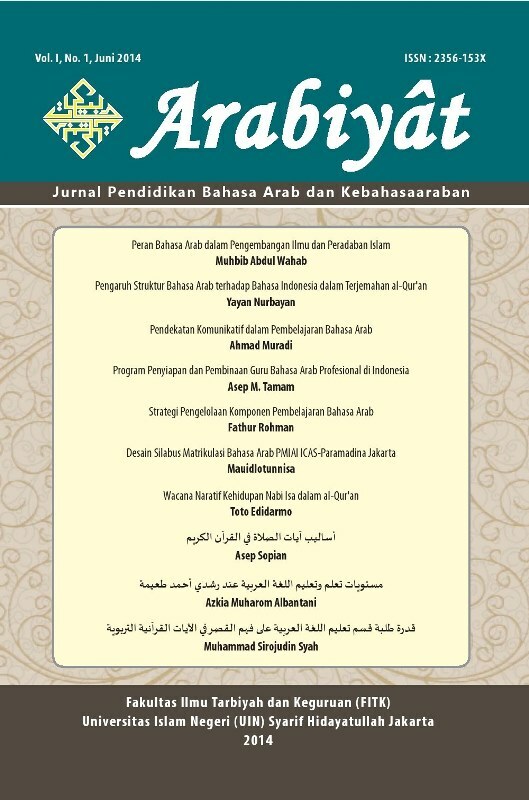 RABIYAT : Jurnal Pendidikan Bahasa Arab dan Kebahasaaraban published twice a year since 2014 (June and December), is a multilingual (Bahasa, Arabic, and English), peer-reviewed journal, and specializes in Arabic Education. This journal is published by the Arabic Education Department, Faculty of Education and Teachers Training, Syarif Hidayatullah State Islamic University of Jakarta, in partnership with IMLA (Association of Arabic Lecturers). ARABIYAT has become a CrossRef Member since year 2015. Therefore, all articles published by ARABIYAT will have unique DOI number. This interdisciplinary journal advances the fields of Middle East gender, sexuality, and women's studies through the contributions of academics, artists, and activists from around the globe working in the interpretive social sciences and humanities. JMEWS publishes area-specific research informed by transnational feminist, sexuality, masculinity, and cultural theories and scholarship. It is particularly interested in work that employs historical, ethnographic, literary, textual, and visual analyses and methodologies. The journal also publishes book and film reviews, review essays, and dissertation abstracts that highlight theoretical innovation in gender and sexuality studies focused on the Middle East. Kafa’ah (Print ISSN 2356-0894 Online ISSN 2356-0630) is an open-access and peer reviewed journal published by Center for Gender and Child Studies, State Institute of Islamic Studies (IAIN) Imam Bonjol Padang. This journal covers key issues on gender studies, including: place of women in society, empowering women, and government policies on women empowerment. The objective of the journal is to promote the sharing of knowledge and understanding on the gender issues. It then welcomes contributions from experts, researchers, practitioners, and policy makers around the world. This journal is published twice a year.